… the automation of complex plants. Furthermore, we carry out retrofits of already existing plants. 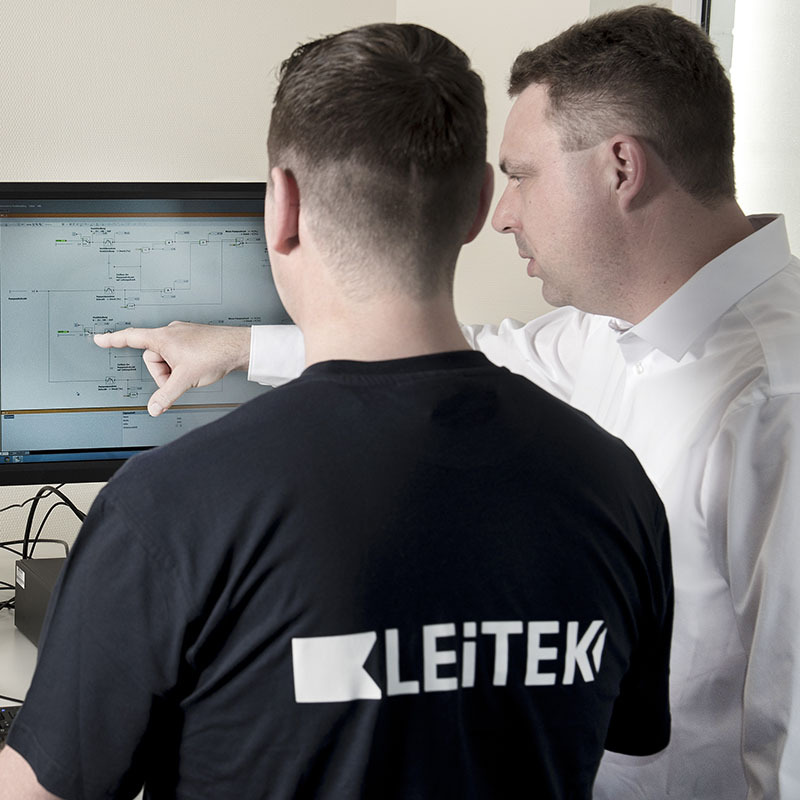 We would be glad to provide advice on how to optimise your plant, your process control as well as your data management. 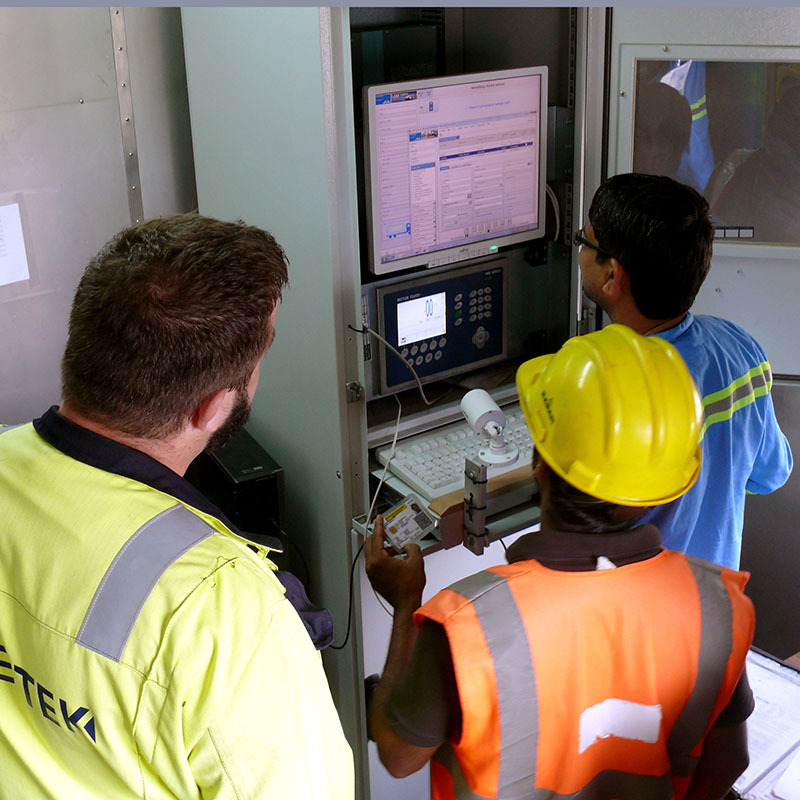 Together with you we check the technical status of your plant on site, discuss the technical requirements and determine the technical needs. Then we define the detailed task with you. .
After all these questions have been answered and you have chosen a solution, we submit you a detailed offer based on the jointly drafted requirement’s specification. 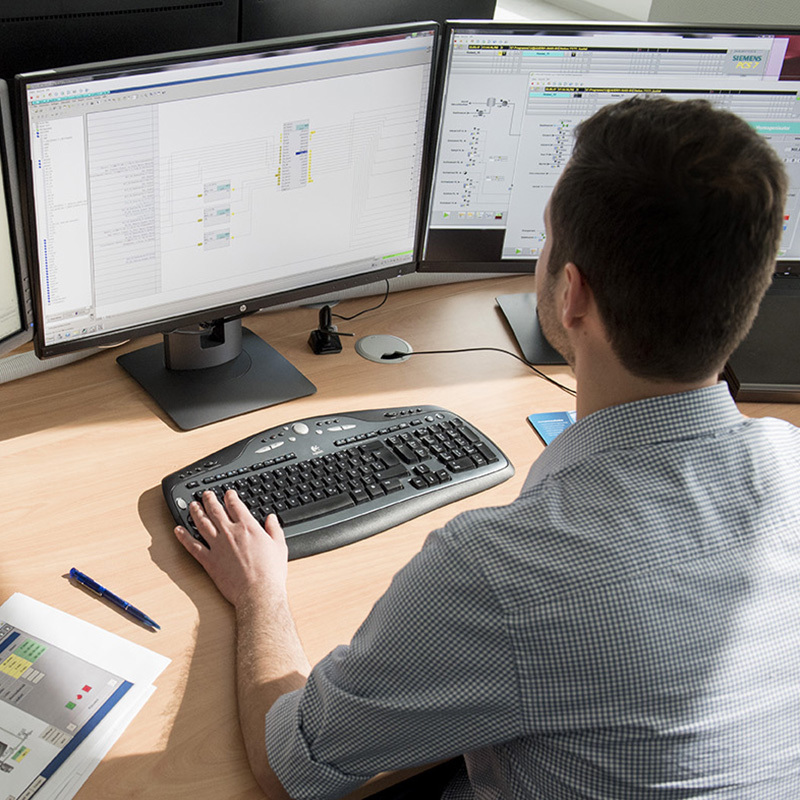 We’d be happy to carry out the complete project planning and programming of your automation software. For this purpose, we use various Siemens automation tools, e.g. Simatic Step 7, TIA Portal or PCS7. 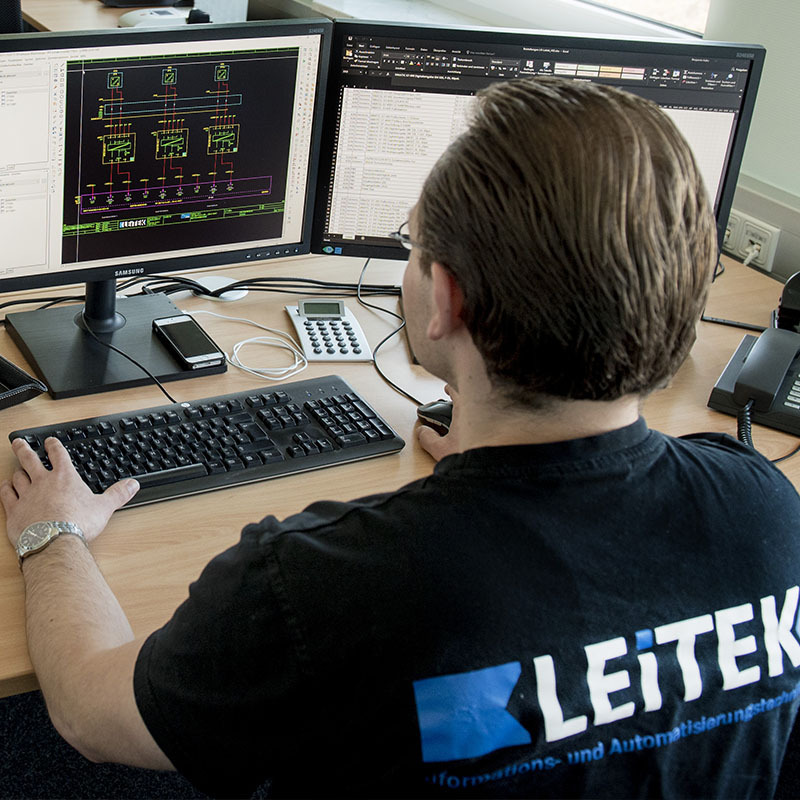 Our software solutions are precisely matched to the specific features of your plant and are available in German or English. 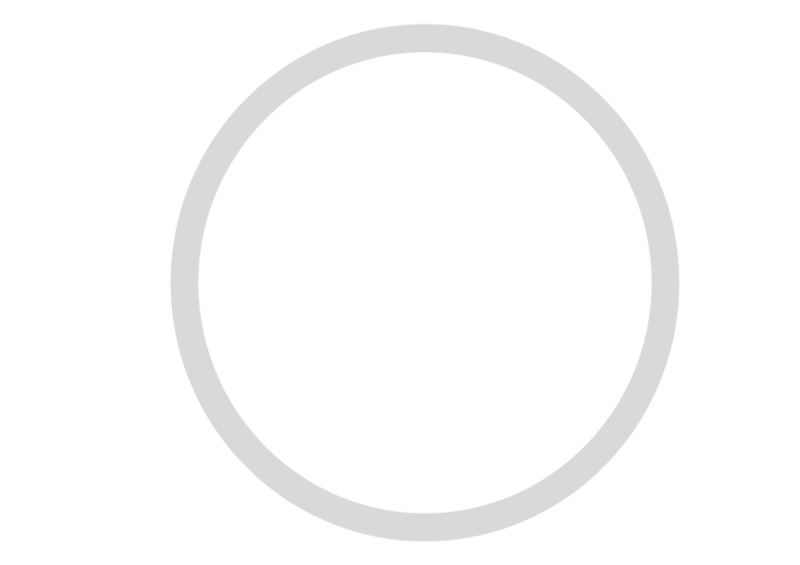 All process visualisations follow the individual requirements. This is also true for the user interfaces which can be programmed in different languages. In case of an initial installation we would be glad to advice you on the expansion of functionalities. Furthermore, we carry out retrofits of already existing plant software. 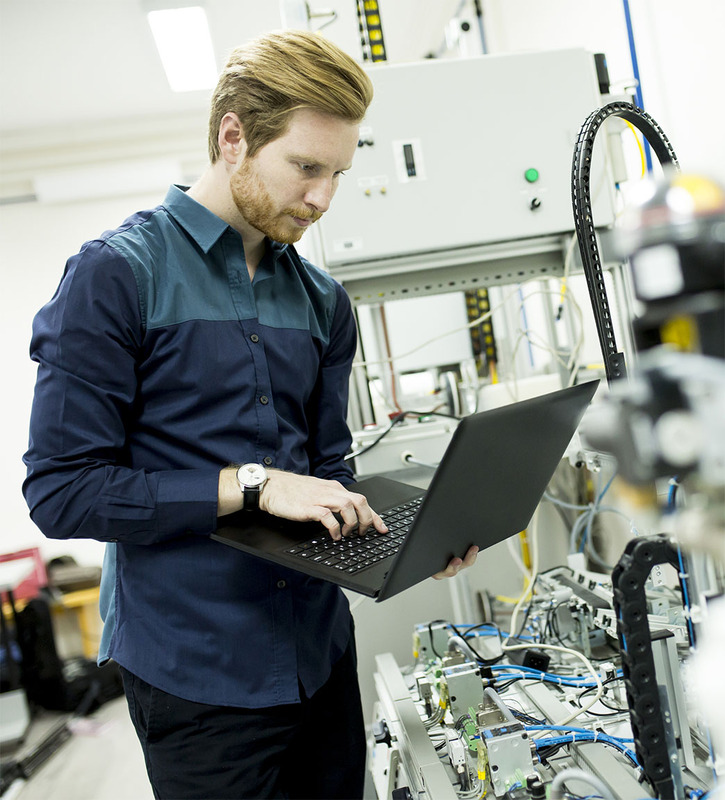 Our experienced automation team also realises parameterizations of drive modules, tests already existing software, creates logic diagrams or test specifications and carries out process simulations. Once the project has been completed, we provide the corresponding documentation in German or English. uses the project planning software EPLAN all the necessary to create all the necessary electrotechnical planning documents such as circuit diagrams, Input/output lists or parts lists etc. Our experienced team also develops test specifications for your switchboards and ensures the final acceptance test and the quality control. We also provide you with all the necessary electrical components and install them if required. Our in-house IT department develops software applications for PC and database systems with the software development environment MS.NET as well as the database environment MS SQL. These applications allow a process-oriented evaluation of quality, production and energy management data. For process visualisations we use our Development Express Library Functions (Single -User or Server Client Solution). Process data from different control systems can be collected by means of standardised methods (e.g. OPC). You can test all the relevant automation functions as well as possible occurring plant malfunctions in advance. This will enable us to carry out further optimisations at no extra costs. With the help of this software we can also train your operation personnel under realistic conditions as this software turns a virtual plant into reality. The participants will consequently control a virtual plant which is equipped with all the original operation pictures and automation programmes. 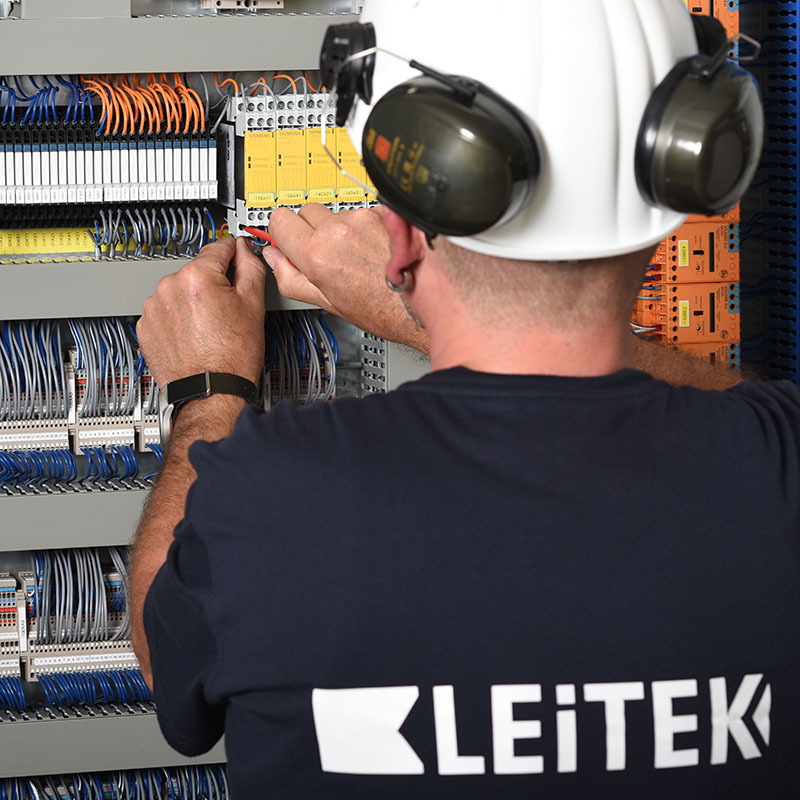 … manufactures customised switchboards (for interior and exterior use) for automation and drive engineering as well as low voltage switchgears for German and international customers. All our products follow both the national and the international regulations. Furthermore, we design and construct fixtures and customised switchboards, e.g. with changed dimensions or air conditioning or in special colours. 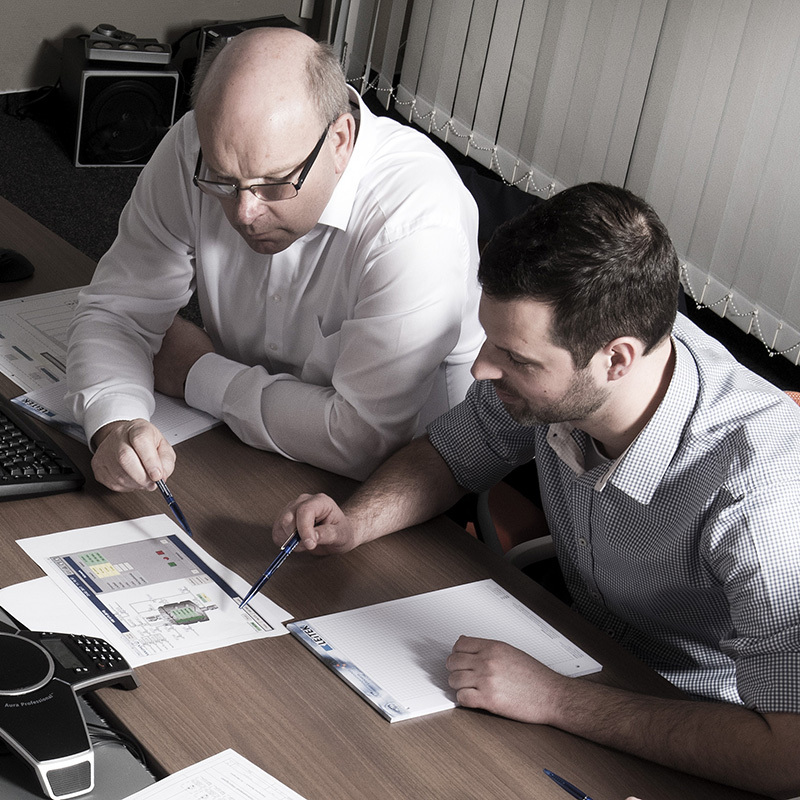 Our range of services includes the electrical planning, the entire manufacturing process, the error diagnostics and troubleshooting as well as the complete installation and function tests on site. 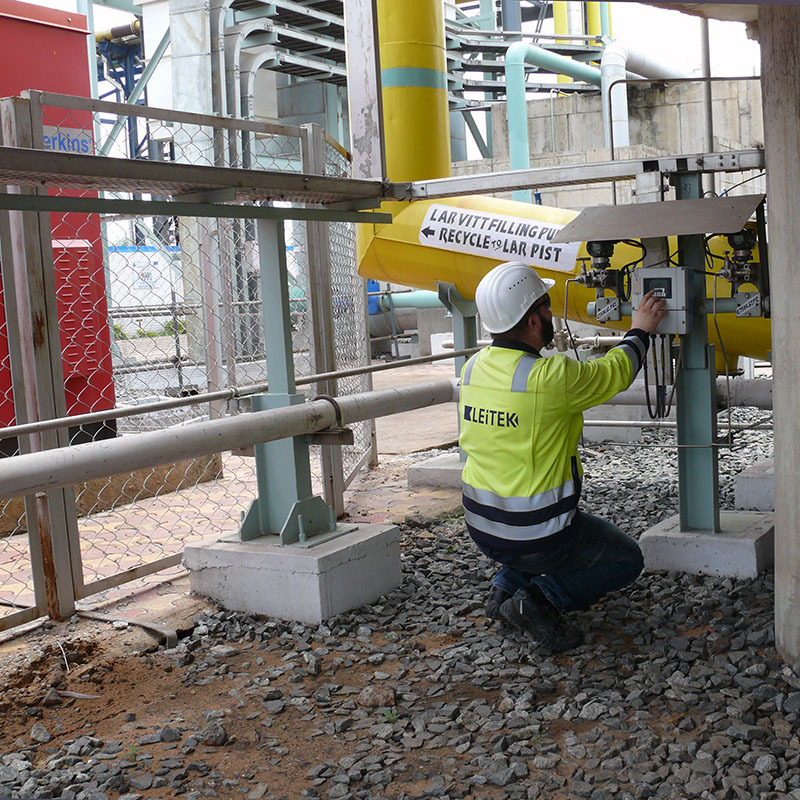 Prior to commissioning, we will invite you to a Factory Acceptance Test to test our solutions with you and – if necessary or desired- identify optimisation needs. Once completed, all components will be installed on site and afterwards tested again. … even when the projects have already been finished. We train and prepare your staff on the optimised use and operation of the installed soft- and hardware. For each project you will receive aFurthermore, we carry out maintenance services (even remote maintenance) and take care for the appropriate spare parts.